Free Shipping Included! 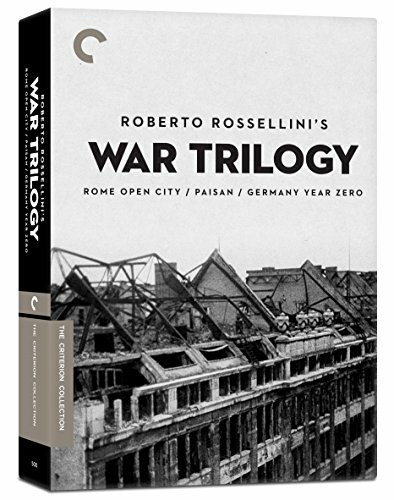 Roberto Rossellini's War Trilogy (Rome Open City / Paisan / Germany Year Zero) (The Criterion Collection) by Criterion at Chocolate Movie. MPN: CRRN1844DVD. Hurry! Limited time offer. Offer valid only while supplies last.